MDC leader Nelson Chamisa on Saturday attended the burial of Kelvin Tinashe Choto, a 22-year-old man shot by the military during fuel protests on January 14, before declaring: "Change is nigh!" 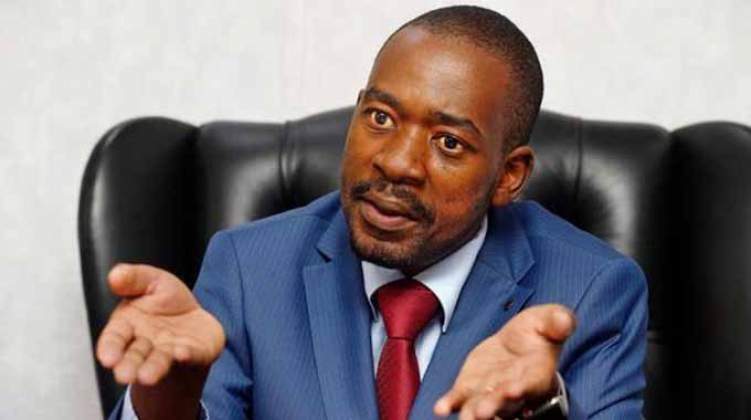 Chamisa said President Emmerson Mnangagwa had "crossed the line" by deploying troops to quell protests over a 150 percent increase in the price of fuel which he decreed, before leaving on a five-nation trip to Eastern Europe. "We have lost a young and promising life. Kelvin was not a politician, he was not an activist, he was not partisan. He was an exceptionally talented footballer set to go for trials in South Africa after getting an emergency travel document only last week," Chamisa told mourners. "Kelvin was targeted by callous soldiers who put a bullet through his head as he stood by the gate after buying a mango just outside his very own home in which he tendered for his young wife and seven-month-old baby". Vowing to "confront" Mnangagwa in the coming days, Chamisa said the Zanu-PF leader led a "sick government" which had declared open war on its citizens. A brutal crackdown by the security forces launched in the wake of the protests has left at least 12 people dead, according to the Zimbabwe Human Rights NGO Forum. MDC lawmakers are among nearly 800 people who have been rounded up by the military and police, accused of looting shops and inciting violent protest. "This is very tragic. Kelvin did not die because he was sick, he died because Mnangagwa's government is sick. We have a sick government. It takes a sick government to unconstitutionally deploy lethally armed soldiers with instructions to shoot and kill unarmed and defenceless citizens at their own homes," the MDC leader continued. "Mnangagwa's government has crossed the line. The unfolding tragedy in our country must stop. We cannot let them continue to callously cut short young lives like happened to Kelvin. Change is nigh in Zimbabwe. I take it upon myself to confront Mnangagwa because he is the cause of all this. "It is Mnangagwa who caused the chaos, mayhem and tragedy now engulfing our country when he blatantly violated sections 89 and 90 of the Constitution by recklessly and irresponsibly announcing in the dead of night punitive hikes of fuel prices with no example or precedence anywhere in the civilised world. "Everyone can now see that Mnangagwa's midnight announcement was a death sentence on Zimbabweans." The January 14 protests came after the Zimbabwe Congress of Trade Unions (ZCTU) called a three-day job boycott over the "provocative" fuel price increase which makes a litre of petrol, at $3,31, the most expensive in the world. Zimbabweans – mainly youths – took to the streets, barricading roads and burning tyres while calling on Mnangagwa to resign. In Bulawayo, Gweru and some parts of Harare, shops were looted although when police rounded up the suspects, they identified Zanu-PF members and soldiers among them.